Cougar Drilling Solutions is a Canadian Company that manufactures a complete line of specialized drilling equipment including Drilling Jars, Jar Boosters, Shocks, Mud Motors, LEX and WhipStocks. Cougar DS equipment has proven its dependability in drilling activities throughout North America, Europe, Australia, the Middle East, South America, Asia and Africa. Cougar Tool is constantly improving existing products and developing new ones to meet the demands of the drilling industry. At Cougar DS, we have been designing and manufacturing downhole drilling tools since 1969, it’s all we do and nobody does it better. The Cougar DS, Edmonton Facility is an ISO 9001 registered company. 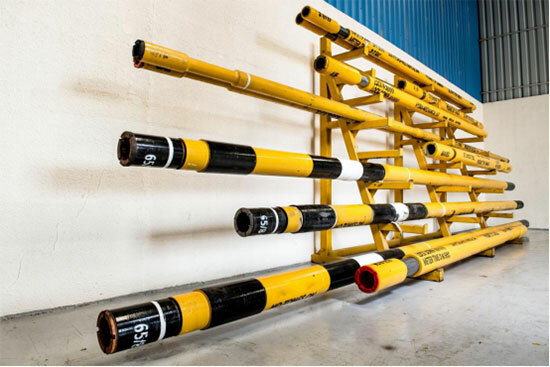 Our in-house manufacturing and quality control, along with our strict material specifications and handling assure us of complete control in order to achieve high quality performance drilling tools. Cougar DS, Canada uses state of the art CNC equipment to manufacture all products. Each part is carefully manufactured to Cougar’s exacting standards.